Address Institute of Molecular Biology "Acad. R. Tsanev"
2018 - 2021 Research project at the Bulgarian Science Fund: "Investigation of the ecological pressure in the Bulgarian Black sea aquatory using the Black sea mussel Mytilus galloprovincialis Lam as a model through integrated microbiological, biochemical and molecular biology markers"
2017 – 2020 Research project at the Bulgarian Science Fund: "Chromatin structure and dynamics during the lifespan of living organisms – elucidating the most intricate mechanisms that govern cellular fate"
2018 - 2020 Research project at the Bulgarian Science Fund: "Natural Deep Eutectic Solvents (NADES)"
2017 - 2020 NATO SPS MYP Project G5266: "Field detector for genotoxicity by CBRN and explosive devices"
2011 – 2013 Research project at the Bulgarian Science Fund, Grant number DDVU 02/61. “Enviromental pollution impact on the ionome of natural populations of dandelion for monitoring purposes”. 2009 – 2011 European Commission, European Social Fund, Human Resources Development “Young Scientists’ support for career development” Grant number: BG 051 PO 001-3.3.04/58. Talk: ▪ Saccharomyces cerevisiae chromatin mutants exhibit premature ageing phenotypes. Poster: ▪ Advantages of human sperm DNA damage detection by the method of Comet Assay . Invited talk: ▪ Saccharomyces cerevisiae – a brilliant model for studying ageing. Invited talk: ▪ Chromatin - the main player in the ageing process. Invited talk: ▪ Epigenetic Significance of higher-order chromatin structures for cellular stress resistance and longevity. Invited talk: ▪ Epigenetics – This is Our future. 2014 X IMYA – Xth International Meeting on Yeast Apoptosis – 14 – 18th May, Gotebourg, Sweden. 2013 Experimental methods and models in biomedical research – 27 – 29th May, 2013, Sofia, Bulgaria. Talk: ▪ Does the budding yeast linker histone hho1p influence survival and morphology of chronologically aging cells? Talk: ▪ The linker histone of Saccharomyces cerevisiae influences yeast chronological aging. Poster: ▪ The interaction between S. cerevisiae linker histone Hho1p and Arp4p affects chromatin remodeling. 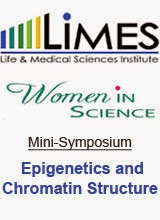 2011 2nd IMPPC Conference “Signaling to Chromatin”, Barcelona, Spain, 31st March - 1st April, 2011. Poster: ▪ Hho1p, the linker histone of Saccharomyces cerevisiae - can yeast cells manage without it? Poster: ▪ Yeast Kluyveromyces lactis - a model for studying human linker histone H1 zero. 2011 Experimental models and methods in Biomedicine, 16 - 18th May, 2011, Sofia, Bulgaria. Talk: ▪ Drosophila as an experimental model to study the fragile X chromosome syndrome. Talk: ▪ Studying aging of the genome in the model system Saccharomyces cerevisiae. 2011 21st International Scientific Conference, Stara Zagora, Bulgaria, 2 - 3rd June, 2011. Talk: ▪ How important are the higher-order chromatin structures for the proper gene expression? Talk: ▪ Environmental pollution with heavy metals and its influence on the ionome of Taraxacum officinale. Poster: ▪ Is there a linker histone in the yeast Kluyveromyces lactis? 2011 4th International Congress of Molecular Medicine - Istanbul, Turkey, 28th - 30th June, 2011. Talk: ▪ In vivo interactions of S. cerevisiae linker histone with chromatin remodeling complexes. Poster: ▪ Saccharomyces cerevisiae - a promising tool for studying human brain tumors. Poster: ▪ Study of the higher-order chromatin structure in fragile X mental retardation gene (FMR1) knock-out Drosophila mutants. 2011 22nd American Peptide Symposium – Harbor Island, San Diego, USA, 25 – 30 June, 2011. 2011 EMBO Conference Series “Nuclear Structure and Dynamics” - L’Isle Sur la Sorgue, France, 28 Sept. – 2 October, 2011. Poster: ▪ The linker histone of Saccharomyces cerevisiae, Hho1p, is a moderator of chromatin organization in vivo. Poster: ▪ In vivo interactions of Saccharomyces cerevisiae linker histone with chromatin remodeling complexes. 2011 Anniversary Molecular Biology Conference – 50 Years Institute of Molecular Biology, 6-7th October, 2011, Sofia, Bulgaria. Talk: ▪ The influence of the remodeling complex INO80 on the higher-order chromatin structures of yeast Saccharomyces cerevisiae. 2011 7th Balkan Congress of Microbiology, 25-29th October, 2011, Belgrade, Serbia. Talk: ▪ Our first steps in tissue engineering? 2010 International workshop on Experimental Models and Methods for Biomedical Research, Sofia, Bulgaria 17-17 March, 2010. 2010 20 th Anniversary International Scientific Conference. Stara Zagora 3rd – 4th June, 2010. Talk: ▪ The yeast Saccharomyces cerevisiae and their potentials for studying of human gliomas. Poster: ▪ Deletion of the linker histone Hho1p suppresses arp4 mutant phenotype in Saccharomyces cerevisiae. 2010 3rd SFB TR5 Symposium on Chromatin – Assembly and Inheritance of Functional States, Munich, Germany, 6th – 8th October, 2010. Talk: ▪ Effect of the transcription factor Sub1 on S. cerevisiae chromatin organization. 2009 Bulgarian–Japanese Symposium “Genomics and Proteomics in Personalized Medicine”, Sofia, Bulgaria 19-20 March, 2009. 2009 CEEPUS International Symposium and Summer School on Bioanalysis. Blagoevgrad, Bulgaria 6-12 September, 2009. 2016 Georgieva, M., Staneva, D. and Miloshev, G. Epigenetic significance of chromatin during cellular ageing and organismal lifespan In D. Hollar and D. Vasudevan (Eds.) Epigenetics, the environment and children's health across lifespans, New York, Springer, pp 21-66, ISBN: 978-3-319- 25323-7.